Aside from the eagerly awaited The Last Jedi movie, many Star Wars fans worldwide are looking forward to Electronic Arts’ sequel to Star Wars Battlefront. That game was a smash hit back in 2015 due to its good multiplayer gameplay, which let you take part in the likes of The Battle of Hoth and other iconic battles from the original Star Wars trilogy. Some lamented the fact that Star Wars Battlefront lacked a single player campaign though, something that EA will be delivering this time around much to the delight of Star Wars fans. This original story set in the Star Wars universe takes place between the events of Return of the Jedi and The Force Awakens, and follows the exploits of Iden Versio, an officer looking to make a name for herself in the Empire. And it certainly is interesting to be able to enjoy a story with a female lead fighting for the imperial side for a change, while EA has recently released a preview video of the game giving us a taste of what to expect from the single player campaign. 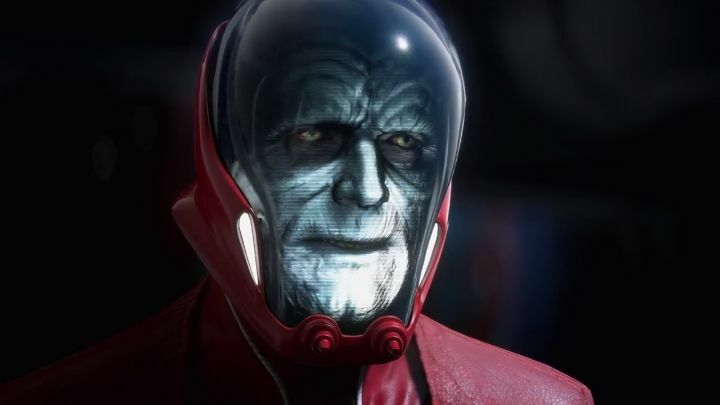 This is a creepy cutscene in which Iden Versio receives instructions from the Emperor himself… Actually, it’s not the true Palpatine as he met his end in Return of the Jedi, but one of his messenger droids meant to deliver his final instructions to the Empire. This cutscene certainly looks great, and this bit of story is intriguing enough, although it remains to be seen whether Star Wars Battlefront 2’s single player campaign will be meaty and entertaining enough to please Star Wars fans. If this is not the case we’ll always have the multiplayer portion of the game to enjoy, which will feature playable characters from all Star Wars eras (including The Force Awakens) and will surely be the star attraction of EA’s upcoming game when it releases this fall.